A link with the past can be found in Agnes Keith House. 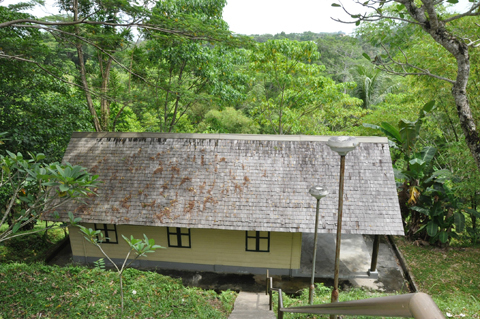 Situated at a hill at Jalan Istana overlooking Sandakan Bay, it was home of Conservator of Forests, Harry Keith and his American wife, Agnes Keith, a writer, from the 1930s until 1942. Agnes’ book on life in pre-war Sandakan popularized the phrase used by old seafarers for Sabah in its title, “Land Below the Wind” (referring to Sabah’s location just below the typhoon belt). Two books followed her first success, namely “Three Came Home” (1946), about their war experiences which was later made into a movie, and “White Man Returns” (1951). Her books, except the second one, were written in the house on the hill where she had the best views of Sandakan Bay at the front and the Sulu Sea at the back. “Newland", which the Keiths named their two-storied wooden bungalow, was destroyed during World War II but reconstructed when they returned in 1946. 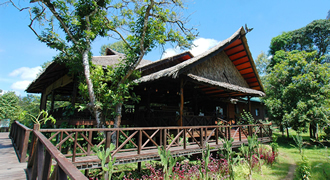 It was the first government permanent timber dwelling to be built after World War II and it was built upon the ruined foundations of the original house that was destroyed during the war. When the Keiths left Sabah in 1952, the house was occupied by subsequent Conservators of Forests, forestry officers, volunteers and other staff and later as an empty shell. 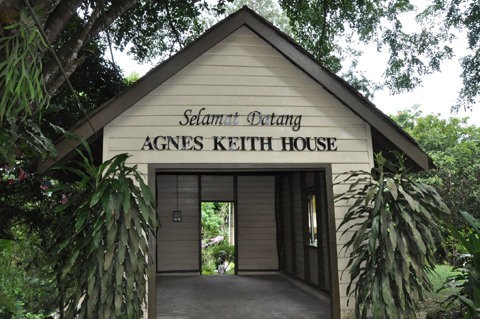 Though the Keiths never returned to Sabah, the house was always referred to as Agnes Keith's House by visitors who never stopped coming to see it. 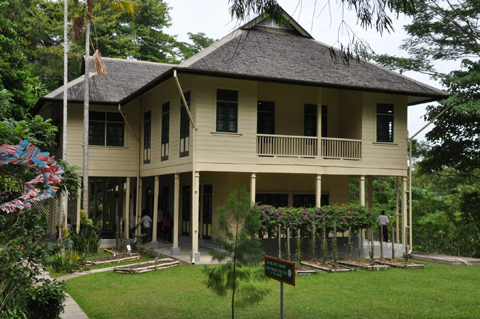 With its sprawling green lawns and post war colonial-style wooden architecture, the residence has since been restored by the Sabah Museum, in collaboration with the Federal Department of Museums and Antiquities. Today the restored house has been turned into a heritage house, providing interesting insights to life during British North Borneo. 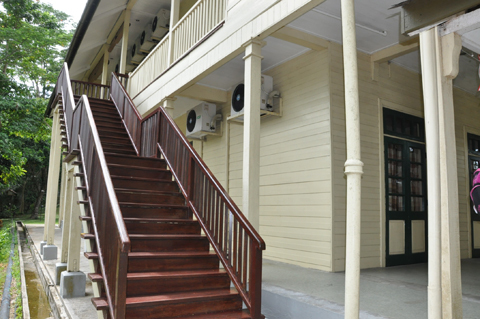 It is furnished with a reproduction of colonial furniture and antiques. A gallery on the first floor tells the story of this remarkable woman, her books and her family. A Keith time-line starts in 1873 and ends in 2004 tracing the past to the present Keiths.